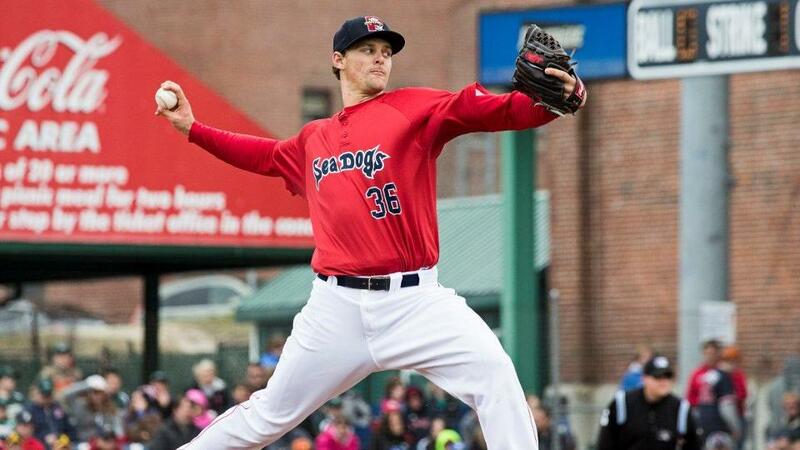 Portland, Maine- Justin Haley was dominant, allowing just one hit over seven scoreless innings, as the Sea Dogs (43-75) took the rubber match of the three-game series with the Erie SeaWolves (46-70) 2-1 on Thursday afternoon at Hadlock Field. The Sea Dogs scored first in all three games of the series. With one out in the second inning, Henry Ramos doubled and Keury De La Cruz singled him in to give Portland the early 1-0 lead. De La Cruz has hit safely in 11 of his last 13 games and is hitting .395 (17-43) over the stretch. The Sea Dogs added another run in the third off of Tommy Collier on an RBI single by Sam Travis to make it 2-0. Justin Haley (W, 5-13) pitched his best outing of the year, allowing just one hit in seven innings, while striking out six and walking none. It was the longest outing this year for Haley and matched a team high for the Sea Dogs in 2015. Tommy Collier (L, 3-2) was nearly as impressive for Erie, also lasting seven innings and allowing two earned runs on seven hits while walking one and striking out three. Williams Jerez entered the game in relief of Haley in the eighth inning and allowed a solo home run to Connor Harrell to account for the only SeaWolves run of the game. Jerez closed out the game with a perfect ninth to earn his first career Double-A save.